Brian Alberg, Executive Chef and Director of Food & Beverage at The Red Lion Inn in Stockbridge, MA, is a staunch supporter of the local food movement in the Berkshires and Hudson Valley. In his ten-year tenure at the Inn, he has established strong relationships with regional farmers and food producers and purchased more than $650K in local foods annually, a compelling contribution to our regional economy.A graduate of the Culinary Institute of America in Hyde Park, NY, he is an active member of Chefs Collaborative and Boston Chefs, and serves on the board of the Norman Rockwell Museum and the Railroad Street Youth Project where he coordinates the culinary arts program in the Berkshires. For two years, he was the President of the Board of Directors of Berkshire Grown, an organization dedicated to promoting the support of local farming and strengthening the relationships between local farmers and restaurants. As a member of the James Beard Foundation, Brian curates Berkshire regional dinners annually at the James Beard House. He participated in the James Beard Foundation’s TasteAmerica Boston event in 2013 and has been the selected chef for three years for Outstanding in the Field, held at iconic farm locations in the Berkshires. Alberg is the founding chair of Berkshire Farm & Table, the organization bringing culinary artisans, farmers and foodmakers to the table in the beautiful and historic Berkshires and Hudson Valley.Alberg has appeared on Good Morning America, Chronicle, NECN’s TV Diner with Billy Costa, Albany (N.Y.) News Channel 13, WWLP’s Mass Appeal and WGBY’s On the Menu! (Springfield, Mass.) He has been interviewed by Heritage Radio Network, Robinhood Radio and WAMC (Northeast Public Radio) and has been written about in The Boston Globe, Metroland, Hudson Valley Magazine and Gastronomica. 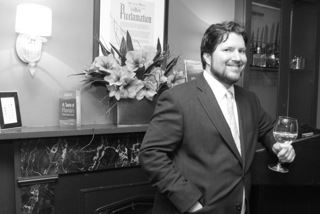 Alberg resides in Kinderhook, N.Y.
A native of Adams, Massachusetts, Adam began his career as a high school intern in the culinary arts department at McCann Technical High School, working part-time at both Jiminy Peak Resort and The Williams Inn. After graduating from the Culinary Institute of America in Hyde Park, New York in 2007, he began working as the Sous Chef at The Williams Inn.Adam joined The Red Lion Inn as Sous Chef in April 2012, under the leadership of Brian Alberg, Executive Chef. He has participated in many farm-to-table events, and food and wine festivals in the Berkshires and surrounding areas including Boston and New York. He works with the Railroad Street Youth Project demonstrating culinary techniques to young adults, is on the Advisory Board of the culinary arts department at McCann Technical High School in North Adams, and takes part in judging projects for Skills USA – a local, state and national student competition among technical high schools. Adams is excited to be living and working in the Berkshires. 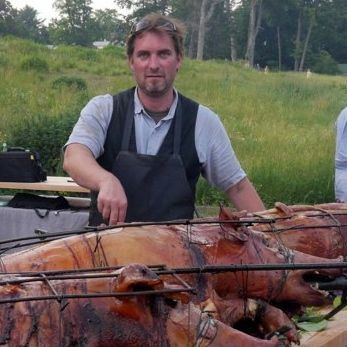 Dan Smith has been the chef-owner of John Andrews Farmhouse Restaurant in South Egremont, Mass. since 1990, creating regional cuisine for close to 25 years, long before farm-to-table was a trend. In 2013, his restaurant was named World’s 25 Best Farmstead Experiences in The Daily Meal – the fastest-growing food site on the web with more than 7.1 million unique visitors. John Andrews Farmhouse Restaurant was one of only two U.S. destinations in the Northeast selected. Dan was brought up on a family farm in Iowa. His family has been farming for generations. Dan studied agriculture in college, but realized that his passion was not in growing food but in cooking it. His connection to food comes from his experience of fresh food grown on the family farm. 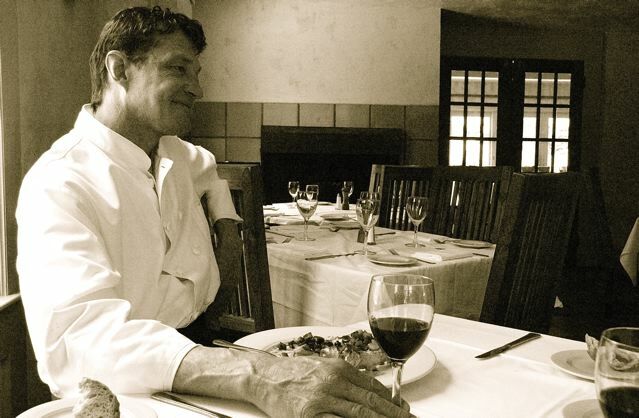 Dan’s longstanding connection to fresh, local food is rooted in his childhood, and is the basis of his menu at John Andrews. Dan is committed to buying local, organic, sustainable products. He has been working with local farmers for the last twenty years. He works with area small farmers and producers to develop his menu around their products. He is inspired by the the produce they bring to his kitchen door. Dan treats ingredients and employees with respect to create a beautiful dining experience for his customers. Not only does he work with area farmers, he has also created his own garden on the property which supplies produce for the restaurant. The commitment to local products and service is evident in the dining experience at John Andrews. Jeremy Stanton is a kind of food polymath who trained at the CIA and has cheffed in kitchens in the Berkshires, Florida and New York. He started a successful pasta company at 25 and learned the ins and outs of sourcing and butchering heritage breed animals as a consultant to Stafford Meats in Connecticut. Jeremy’s professional path evolved following several unique food experiences in which he recognized his love for the directness of rustic cuisine. In 2003, Jeremy created Fire Roasted Catering, a company focused on using locally sourced food, cooked on site, over hardwood fires using antique and handmade iron and steel equipment. In equal measure to his love of food creation, Jeremy is committed to supporting farmers directly, and in supporting local food production. He believes that the most sustainable crop grown in New England are animals, and that the best way to support farmers, is to buy whole animals. Following that logic, in August 2011 he brought his passion for local food to the ultimate level by opening The Meat Market: A nose-to-tail local meat butchery, charcuterie and cafe. Central to Jeremy’s culinary practices and his philosophy about food, is the importance of raising awareness about locally grown agricultural products. Fire Roasted Catering and The Meat Market speak directly to this conviction to join The Meat Market team and is thrilled to be living and working within this community of passionate and talented farmers and craftspeople. Chef Josephine Proul is a sixth generation Californian with strong family roots in food culture. As a small child, she was taught how to cook by the gentle hand of her grandfather – her passion began by stirring risottos and grinding fresh sausages by his side. Surrounded by a family support system that gathered around the dinner table most weekends, tradition has influenced Chef Proul’s interest and style of cooking. 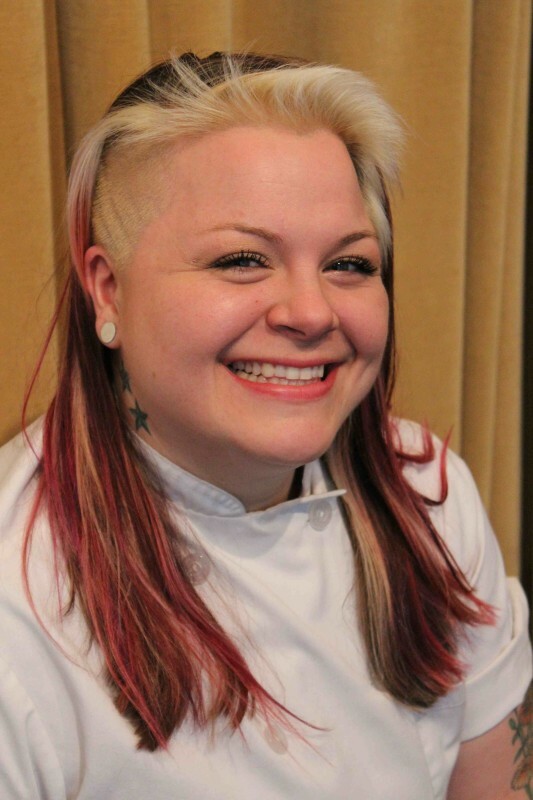 In 2004, Chef Proul pursued her interest in food with a move to the East coast to attend the New England Culinary Institute, graduating with a Bachelors Degree in Culinary Arts.In 2008, Chef Proul became the Executive Chef and General Manager of Local 111 Restaurant in Philmont, NY. Located in the heart of the Hudson Valley, Local 111 presents farm-to-table and seasonally sourced provisions, focusing on food geared towards the ever-changing local environment. 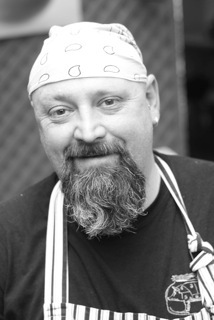 Chef Proul wears many hats – as Executive Chef, Pastry Chef, General and Front-of-House Manager, Events/Catering, and all-around supporter of honest food and small businesses in the region.In 2011, Chef Proul traveled to Spain to absorb the local food and wine culture. After returning from her travels abroad, she arrived with an even deeper love of food. 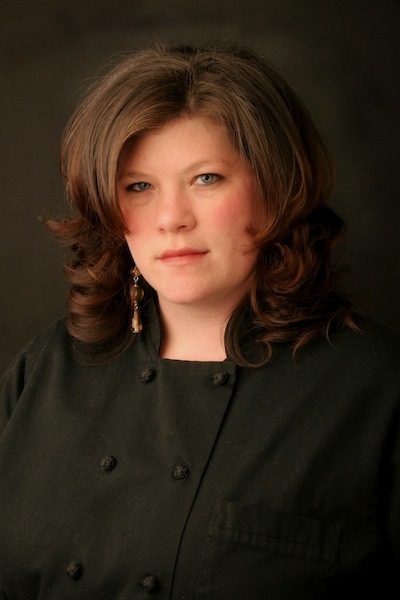 In 2013, Proul became the recipient of the fourth annual Victoria A. Simons Locavore Award in the Hudson Valley for her commitment to using local products and supporting community growth.As a local food networker who cultivates lasting relationships with farmers, chefs and purveyors, Chef Proul’s goal is to build relationships between her guests and farmers in a way that supports future growth in farmers markets, food education, extending the season and an all-around locally sourced food culture.